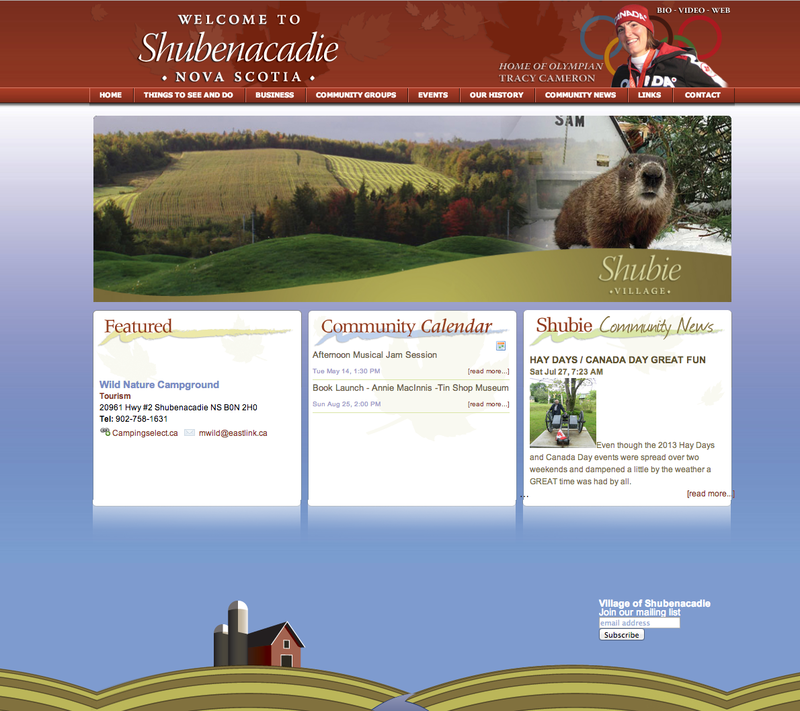 We were approached by the village of Shubenacadie to develop a website to showcase this spectacular village in Nova Scotia. The site is maintained by the client and features a business directory, community events calender, blog, videos, history and more. Eastwood Design also was contracted to design the new visual identity for the village which included a logo, lamp post banners, posters and more.